The FolkOhio radio series focuses on the Buckeye State’s traditional culture and I am lucky enough to produce these pieces as part of my role at the OSU’s Center for Folklore Studies at OSU for broadcast on WOSU. 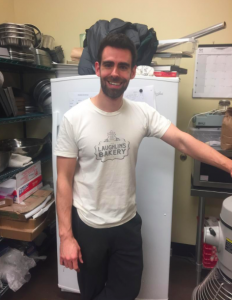 The latest piece has just gone out; it’s about Jonas Laughlin – an opera singer turned baker who runs the popular Laughlin’s Bakery in downtown Columbus. It’s available online here.